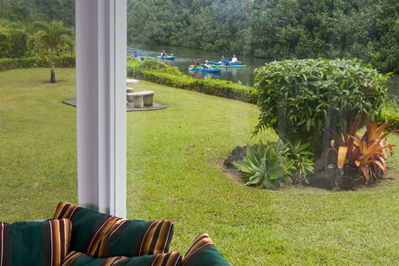 River access is located right outside your back door. 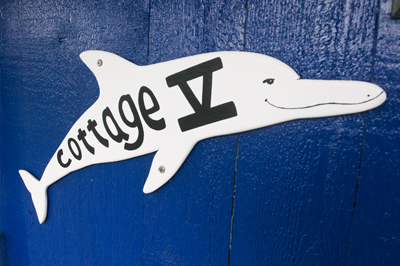 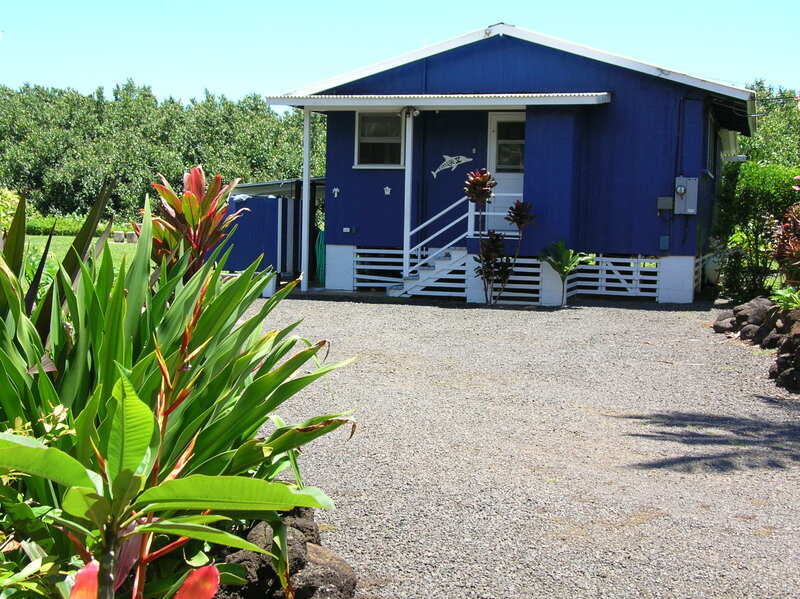 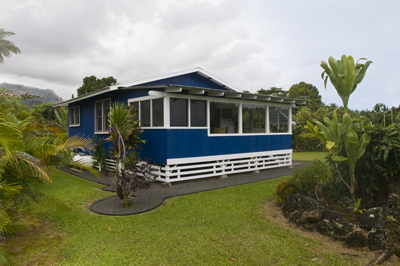 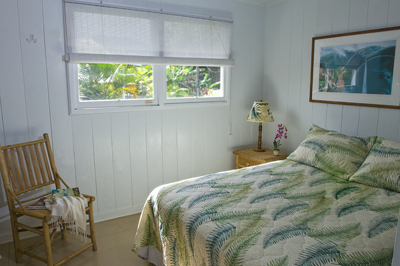 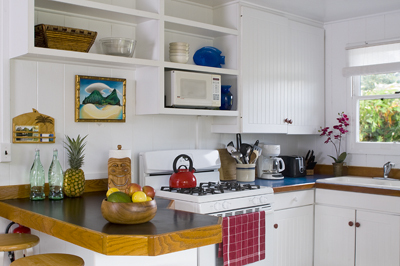 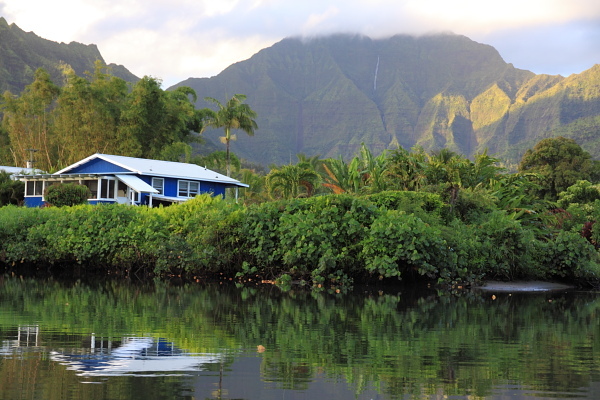 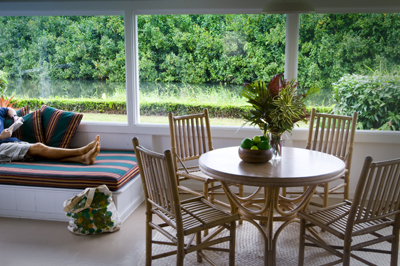 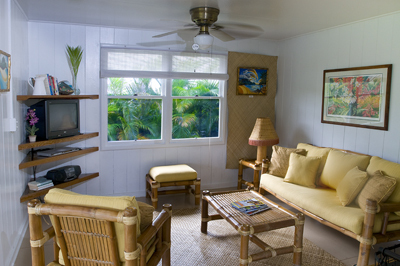 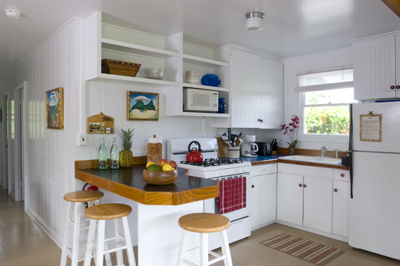 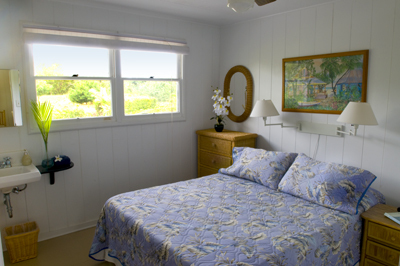 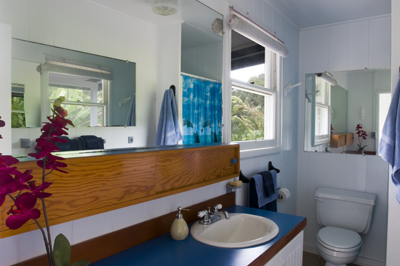 Paddle a canoe to the beach or stroll to the shops and restaurants from this conveniently located yet secluded Hanalei plantation home. 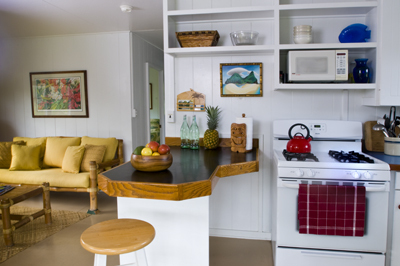 Amenities Include – 2 bedroom, 1 bath, 3 queen size beds, day bed, fully stocked kitchen, ceiling fans in each room, private outdoor shower with hot water, washer and dryer, gas bbq, stereo with iPod dock, LCD TV, DVD, cable, wireless internet, sleeps four.